Have you ever heard an atheist tell you that naturalistic evolution is an answer to the moral argument? I have. And I found a good reply to this challenge in the book “Contending With Christianity’s Critics“. The chapter that responds to the challenge is authored by Dr. Mark D. Linville. It is only 13 pages long. I have a link to the PDF at the bottom of this post. 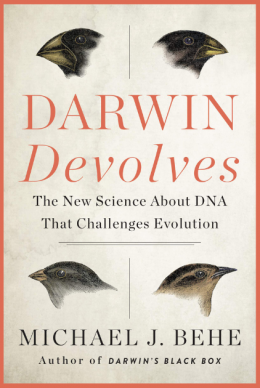 Darwin’s account of the origins of human morality is at once elegant, ingenious, and, I shall argue, woefully inadequate. In particular, that account, on its standard interpretation, does not explain morality, but, rather, explains it away . We learn from Darwin not how there could be objective moral facts, but how we could have come to believe—perhaps erroneously—that there are. Further, the naturalist, who does not believe that there is such a personal being as God, is in principle committed to Darwinism, including a Darwinian account of the basic contours of human moral psychology. I’ll use the term evolutionary naturalism to refer to this combination of naturalism and Darwinism. And so the naturalist is saddled with a view that explains morality away. Whatever reason we have for believing in moral facts is also a reason for thinking naturalism is false. I conclude the essay with a brief account of a theistic conception of morality, and argue that the theist is in a better position to affirm the objectivity of morality. But even if we are assured that a “normal” person will be prompted by the social instincts and that those instincts are typically flanked and reinforced by a set of moral emotions, we still do not have a truly normative account of moral obligation. There is nothing in Darwin’s own account to indicate that the ensuing sense of guilt—a guilty feeling—is indicative of actual moral guilt resulting from the violation of an objective moral law. The revenge taken by one’s own conscience amounts to a sort of second-order propensity to feel a certain way given one’s past relation to conflicting first-order propensities (e.g., the father’s impulse to save his child versus his impulse to save himself). Unless we import normative considerations from some other source, it seems that, whether it is a first or second-order inclination,one’s being prompted by it is more readily understood as a descriptive feature of one’s own psychology than material for a normative assessment of one’s behavior or character. And, assuming that there is anything to this observation, an ascent into even higher levels of propensities (“I feel guilty for not having felt guilty for not being remorseful over not obeying my social instincts…”) introduces nothing of normative import. Suppose you encounter a man who neither feels the pull of social, paternal or familial instincts nor is in the least bit concerned over his apparent lack of conscience. What, from a strictly Darwinian perspective, can one say to him that is of any serious moral import? “You are not moved to action by the impulses that move most of us.” Right. So? Shermer goes on to compare such moral emotions to other emotions and sensations that are universally experienced, such as hunger and the sexual urge. He then addresses the question of moral motivation. Thus, according to Shermer, given an evolutionary account, such a question is simply a non-starter. Moral motivation is a given as it is wired in as one of our basic drives. Of course, one might point out that Shermer’s “moral emotions” often do need encouragement in a way that, say, “horniness,” does not. More importantly, Shermer apparently fails to notice that if asking “Why should I be moral?” is like asking, “Why should I be horny?” then asserting, “You ought to be moral” is like asserting, “You ought to be horny.” As goes the interrogative, so goes the imperative. But if the latter seems out of place, then, on Shermer’s view, so is the former. One might thus observe that if morality is anything at all, it is irreducibly normative in nature. But the Darwinian account winds up reducing morality to descriptive features of human psychology. Like the libido, either the moral sense is present and active or it is not. If it is, then we might expect one to behave accordingly. If not, why, then, as a famous blues man once put it, “the boogie woogie just ain’t in me.” And so the resulting “morality” is that in name only. In light of such considerations, it is tempting to conclude with C. S. Lewis that, if the naturalist remembered his philosophy out of school, he would recognize that any claim to the effect that “I ought” is on a par with “I itch,” in that it is nothing more than a descriptive piece of autobiography with no essential reference to any actual obligations. When it comes to morality, we are not interested in mere descriptions of behavior. We want to know about prescriptions of behavior, and whether why we should care about following those prescriptions. We are interested in what grounds our sense of moral obligation in reality. What underwrites our sense of moral obligation? If it is just rooted in feelings, then why should we obey our moral sense when obeying it goes against out self-interest? Feelings are subjective things, and doing the right thing in a real objective state of affairs requires more than just feelings. There has to be a real objective state of affairs that makes it rational for us to do the right thing, even when the right thing is against our own self-interest. That’s what morality is – objective moral obligations overriding subjective feelings. I wouldn’t trust someone to be moral if it were just based on their feelings. The PDF is right here for downloading, with the permission of the author. UPDATE: Reformed Seth weighs in with his thoughts on this post. Me too! I saw that he left a comment on the Craig/Rosenberg debate and so I thought to myself “now is your chance to bug him to get his essay”. And he said yes! Thanks for posting this, WK. I’m glad for more people to read it even if–inevitably–some will think I’m all wet. No one is going to think that, because it’s quality work! It’s the most popular post today. I’ve always felt this argument isn’t talked about enough, though I do think a female philosopher with the last name Street has barked up the same tree.